The holiday season is the perfect time of the year to reconcile with your closest ones, to express your love towards them, to start planning a new life, a new look and the image of a new you. This definitely should be done in the most beautiful way, meaning you should have the most astounding look throughout this period of the year and surely during the rest 365 days to come. Drawing inspiration from Christmas makeup tutorials, gorgeous holiday hairstyles and the impeccable style sense of the famous celebrities, don’t overlook the importance of nails for the most sizzling looks of yours. Although small details, nails tend to totally change one’s look, injecting a high dose of perfection, classiness and elegance to the overall appearance. 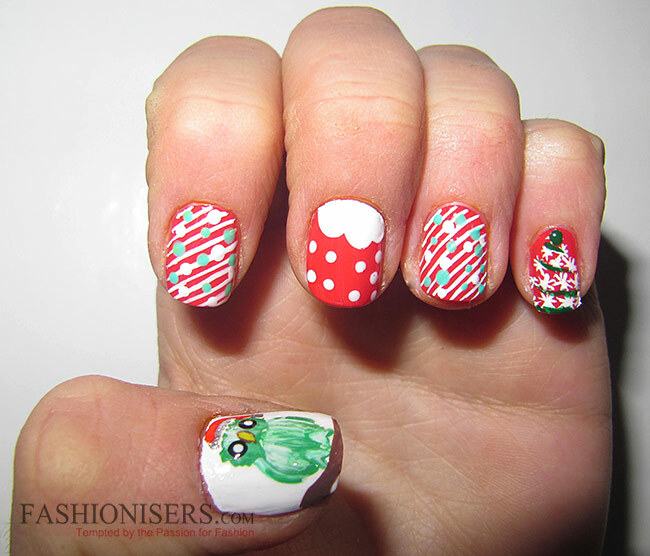 Below we bring some flirty, fun and stylish Christmas nail art designs for you to recreate your favorite style and add a sassy touch to your party look! 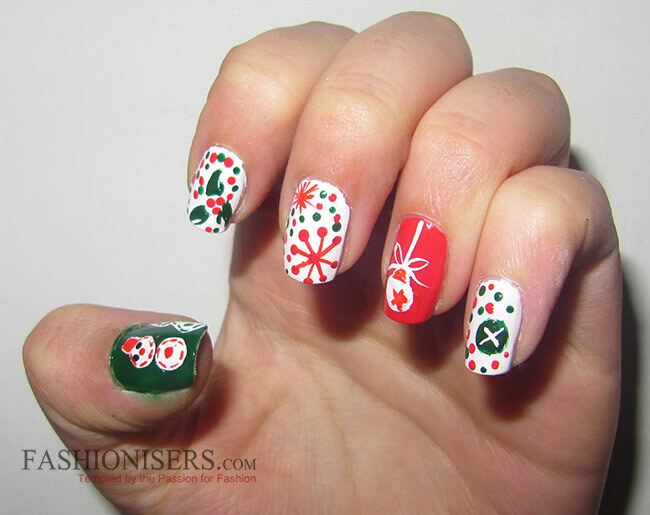 The first thing that comes to your mind when thinking Christmas nails is definitely the colors of red, green or lots of glitter. You can definitely pick any of these hues as your base color and then choose some contrasting shades for drawing your funky wintery characters that will instantly pop on the background of your preferred shade. 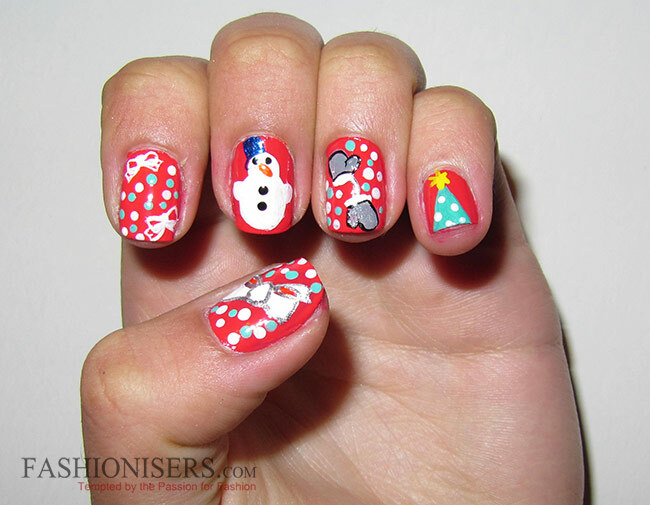 Thus, applying red nail polish as the base, you can draw some white snowman, Christmas present bows, snowflakes, cutie mittens, or evergreen Christmas trees. Reindeer, snow-covered huts, Santa Claus, Christmas tree ornaments, candies, beanies and stars also perfectly fit in with the holiday theme. Who said you can’t play with alternative colors different from red or green? In case these shades don’t match your party outfit, you can freely choose other shades. Just take your entire party look into account. 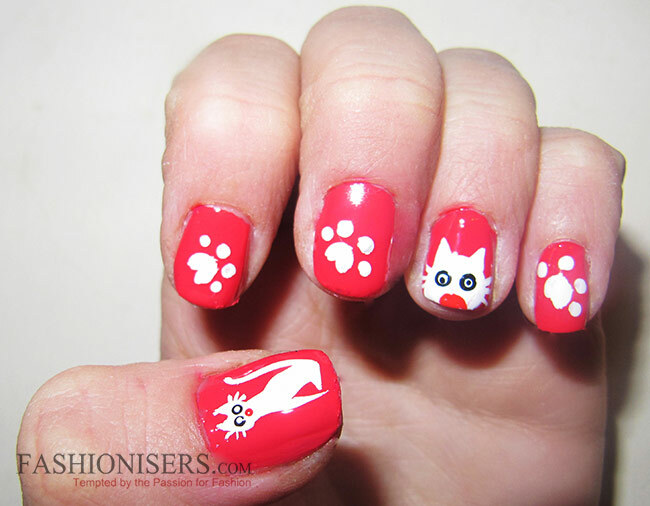 Depending on the party type and preferences, you can also go kind of minimal as far as nail art goes. 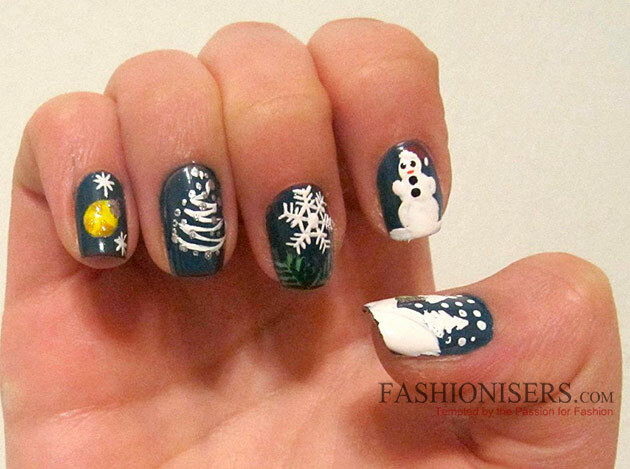 For instance, think simple ombre nails with snowflakes or stars imprinted on, or draw a Christmas image on a single finger, leaving the rest simple. You can also be more creative and create your own Christmas style, like picturing a story of a winter cat, which leaves its snowy cat paw prints on a red background. 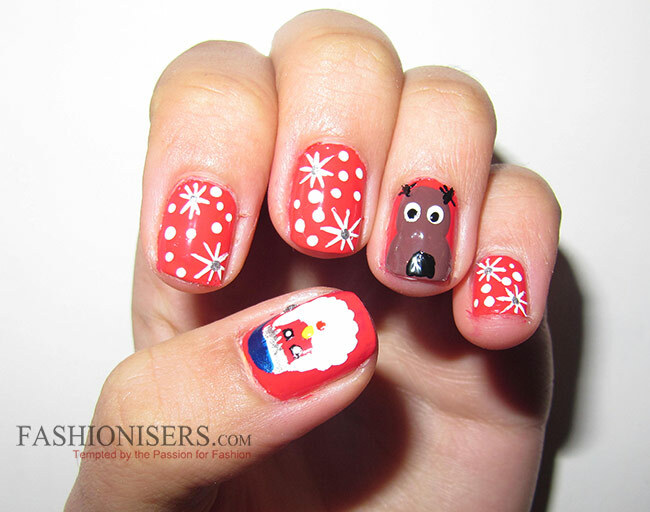 The best thing about Christmas nail art is that you can have a lot of fun, sometimes even going over the board and creating kind of childish fairy-tale inspired images on your fingertips. 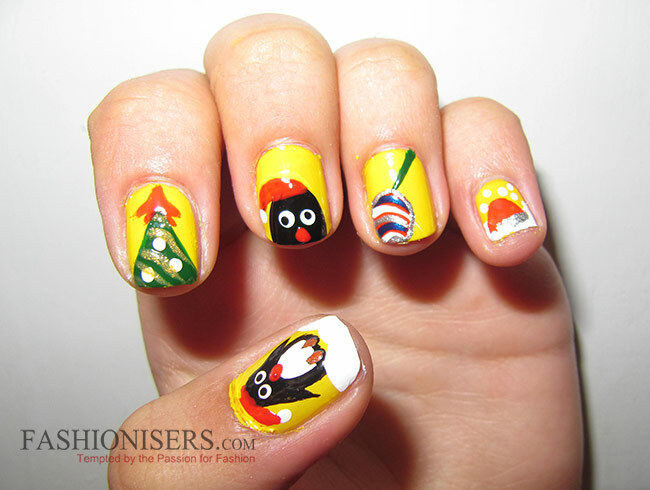 After all the holiday season is all about magic, so print the magic on your nails!